South African Airways announced its annual Wine of the Year Awards at a dinner held at Cape Sun Hotel in Cape Town on Saturday, 8 April. The awards were made in four categories: white wines, red wines, Cape Tawny and Méthode Cap Classique wines. 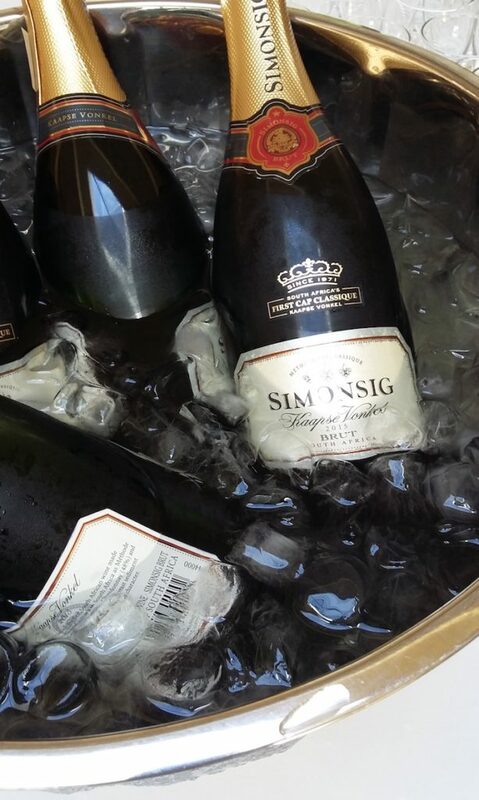 The Wine of the Year is the Simonsig Estate, Kaapse Vonkel Brut. This wine is designated Méthode Cap Classique and is a blend of the three classical Champagne grapes, Pinot Noir, Chardonnay and Pinot Meunier. Frans Malan, founder of Simonsig with his wife Liza pioneered this style of wine in South Africa. His sons, Johan and Francois carry on the tradition.